September 5, 2015 at 2:50 PM: A hit and run has been reported on Hwy 4 at Monge Ranch Road in Douglas Flat. No injuries have been indicated. No other details are available at this time. September 5, 2015 at 2:45 PM: A pickup has reportedly rolled over at Oakdale Road and Looney Road outside Turlock. Two CHP units and an ambulance are en route to the scene. It is not blocking the roadway. September 5, 2015 at 2 PM: A solo vehicle traffic collision was reported at Road 415 and Road 416 in Coarsegold, where one vehicle was smoking. September 5, 2015 at 12:45 PM: A traffic collision has been reported on Parrotts Ferry Road and Damin Road in Columbia. September 5, 2015 at 12:25 PM: A pickup and a Honda have reportedly collided on Kettleman Lane and Locust Tree Road in Lodi. An ambulance is en route to the scene. Use caution in the area as one lane is partially blocked. September 5, 2015 at 11:15 AM: An injured deer has been reported at Hwy 49 and Parrotts Ferry Road in Columbia. CHP is en route to the scene. Do you have deer warning whistles on the front of your bumpers. For $10 you could save a life; yours and the deer. UPDATE: The small fire is extinguished. Motorcycle collision in Mokelumne HIll! 4th graders get in FREE! The National Park Service is offering all 4th graders across the US to get a FREE pass to thousands of National Parks during the 2015-2016 school year. 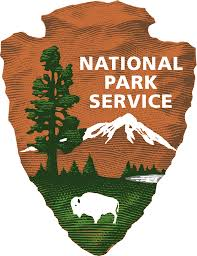 Go to their website www.everykidinapark.gov and print out your pass. It is good for your entire family in a car to drive in, or for you and three adults to walk in. President Obama started this program so parents will take their kids to visit our National Parks. September 5, 2015 at 6:15 AM; Be extra careful on Hwy 88 and Wicklow Way, just outside Martell, as a dog has been reportedly hit by a vehicle and is dead in the roadway there. CHP is responding to the area. September 5, 2015 at 6 AM: CHP is at the scene of an overturned vehicle on Big Hill Road outside Columbia, where one person was pinned inside. An ambulance and tow truck are responding to the location. Use extra caution if in that area.